Caudalie Divine Legs Tinted Body Lotion, 3.4 oz / 100ml. This tinted fluid is the perfect friend to bring radiance to your legs, without self-tanning product. After application, this ultra-light fluid brings to your skin a light golden tan and enhances natural tanning. Its universal color melts on the skin and dries very quickly. 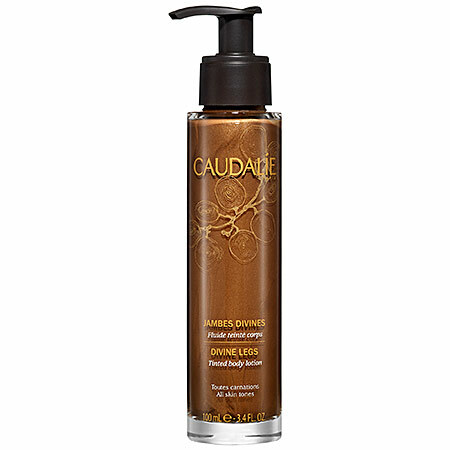 Notify me when "Caudalie Divine Legs Tinted Body Lotion, 3.4 oz / 100ml" is re-stocked.